Zara moved to Los Angeles where she continued writing new songs and performing solo. In 2005 Zara finished work on a new CD entitled “When the Rain Stops” produced by Ted Perlman, winner of 2006 Grammy Award for Burt Bacharach’s CD “At This Time”. Zara’s work with Ted features 14 original tracks written by her (one track is a co-write with Ted) and was released in 2006. In 2008 Zara finished directing and producing an adoption documentary entitled “ROOTS: UNKNOWN” This educational and informative film focuses on the emotional influence adoption has on the adoptee and their families. Interviews and sound bites with adult adoptees, their families and children are mixed with artistic images of their art and creative expression. The film won Best Homegrown Documentry at The Garden State Film festival in New Jersey. Zara and Ted Perlman got back together to record a new album “You, Me and Us” that feature’s ‘I’m Legit’ a song Zara wrote with another adopted person Darryl Macdaniels of DMC. The record, digitally released in 2011, has been a big hit within the adoption community. Songs from this album can be heard on Passions and Hollywood Heights. 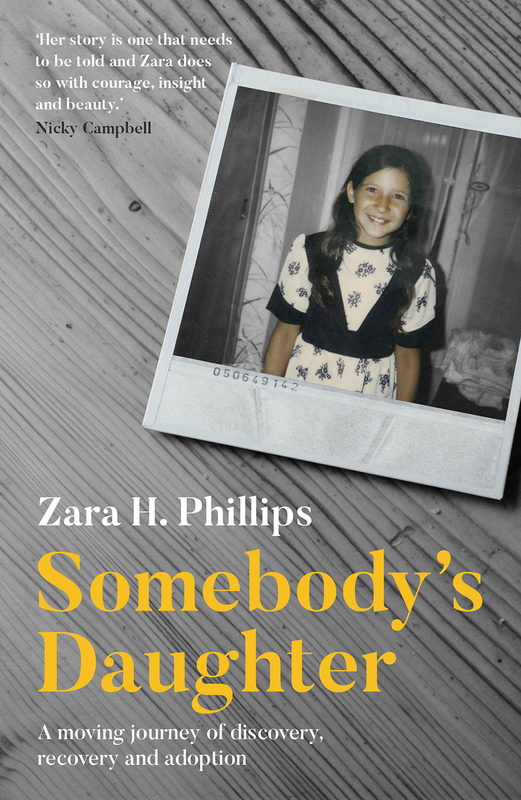 Zara regularly facilitates adoption /addiction workshops with adopted families and their teens. She engages the teens to create songs about their experience. 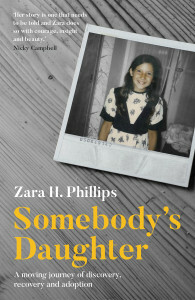 Zara’s new book “Somebody’s Daughter”, published by John Blake/Bonnier Publishers, is coming out February 22nd in the UK and the USA release will be soon to follow. More information to come about this moving journey of discovery, recovery and adoption.